Before a divorce can be finalized, parties with children must come create a plan that accounts for child support, time sharing responsibilities, and alimony. However, as time goes on and children age, these orders may need to be modified to reflect a child’s preference, a remarriage, or the need to relocate for a new job. Fortunately, both custody agreements and financial arrangements can be changed even after a divorce has been granted. If you are a Florida resident and believe that your child support order or time sharing agreement is out of date and needs to be modified, you should consider contacting a skilled Fort Lauderdale divorce lawyer who can walk you through the modification process. Receipt of an inheritance or a substantial increase in income. The party seeking modification will also need to provide evidence demonstrating that the parties did not anticipate the life change when the original order was issued. 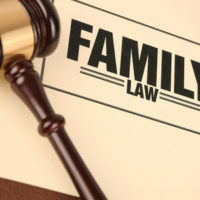 Even if a court is convinced that one of the parties has undergone a substantial change in circumstances, it will still refuse to amend the custody or child support agreement if doing so is not in the best interests of the couple’s children. Whether enforcing the change would still allow each parent to participate in the child’s academic and extracurricular endeavors. School records and witness testimony will play a key role in convincing a family court that modifying a child support or custody agreement would be in a child’s best interests. Modifying a child custody agreement or child support order can be an uphill battle, so if you believe that modification is necessary, please contact Sandra Bonfiglio, P.A. 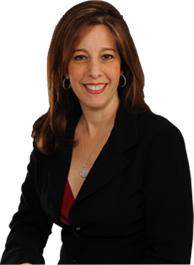 at 954-945-7591 to speak with a dedicated Fort Lauderdale attorney who will ensure that your interests and the interests of your children are protected.